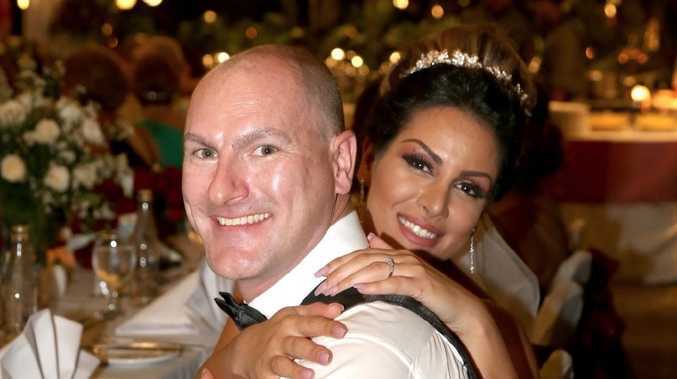 The couple were killed in Wantirna on April 21. THE man who killed a pair of newlyweds as he sped through a red light in a stolen car has been jailed for 13 years. 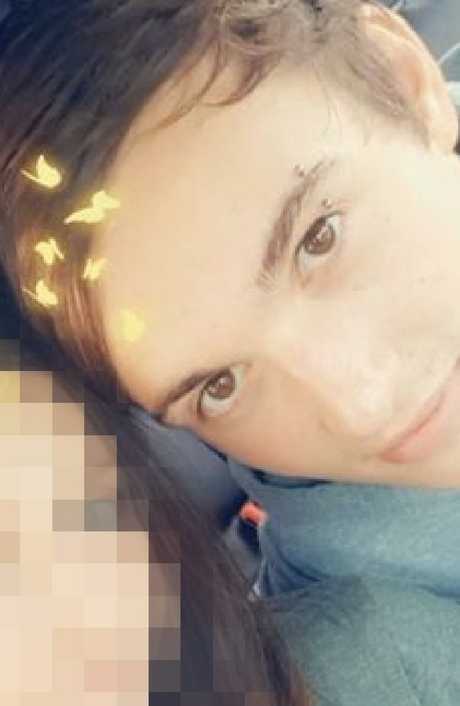 Eric Victorsen, 20, was sentenced to a non-parole period of eight years in the Victorian County Court today over the April deaths of Bita Zaeim and Matt Goland. Judge Geoff Chettle said Victorsen's actions were "cowardly" and "deplorable" and had left two families "shattered". "I am heartily sick of listening to the horror of victim impact statements in cases like yours," Judge Chettle told Victorsen. "You left your victims bleeding and dead or dying. That is deplorable. It was cowardly." In the early hours of April 21, Victorsen was travelling south along Stud Road at Wantirna, in Melbourne's southeast. Victorsen and a 15-year-old girl, who cannot be named, were in a stolen Lexus SUV driving at speeds of up to 130km/h. Eric Victorsen, 20, was jailed for 13 years over a hit and run crash that killed Melbourne newlyweds in April. 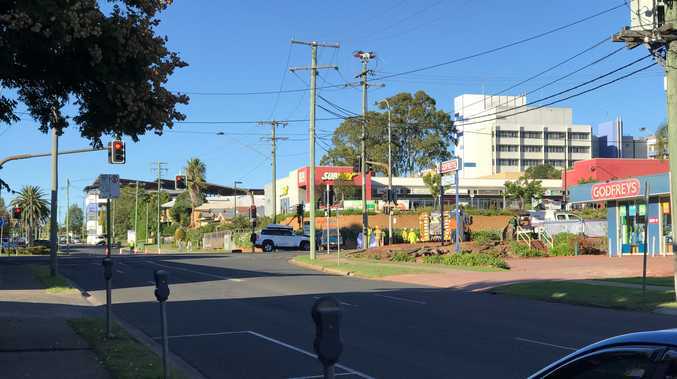 Victorsen drove through an intersection at Stud Road and Boronia Road at 114km/h despite the fact that the light had been red for one minute and eight seconds before he arrived. The stolen car collided with the Holden Commodore being driven by Ms Zaeim, causing both vehicles to roll several times. Victorsen and the teen fled the scene. Ms Zaeim died from injuries at the Alfred Hospital and Mr Goland died instantly. Victorsen left his phone in the stolen car and his wallet was found nearby. The pair hid at a home in nearby Belgrave before they were arrested later that same day. The 20-year-old was charged with two counts of culpable driving causing death and one charge of failing to render assistance. In court, Judge Chettle read out an extensive list of Victorsen's prior crimes. The court heard he had committed 96 offences over five years between 2013 and 2018. At age 14 he appeared before a children's court in Victoria for assaulting police. The following year he committed offences including wilful damage, theft, destruction of property, unlicensed driving, reckless driving and assault with a weapon. When he was 15 he was sentenced to three months in youth detention. He was later sentenced to nine months in youth detention. The crumpled wreck of Ms Zeaim and Mr Goland’s Holden Commodore. In February this year, Victorsen was convicted of three counts of attempting to steal a motor vehicle. 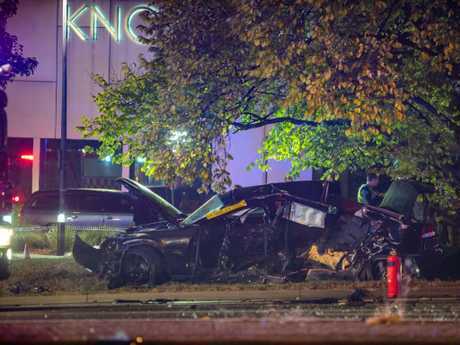 He was again driving a stolen car when he hit and killed the couple who had been married for less than one year. Judge Chettle said Victorsen's conduct was in part due to a childhood "marred by trauma and disruption". He said Victorsen was run over in the family driveway by his father at just 16-months of age and suffered a possible brain injury. His father was abusive and violent towards your mother and their children. After his parents separated, Victorsen's life continued to spiral out of control. He was homeless and later expelled from four schools for fighting. "You are effectively illiterate," Judge Chettle said. "You left school at age 11 and started using drugs and absconding from home. You were taken into care at age 13 and your mother claims you were 'difficult to manage'." At age 17, Victorsen was diagnosed with a severe learning disorder but Judge Chettle said that was only half the story. "You were uncontrolled when you offended earlier this year," he said. 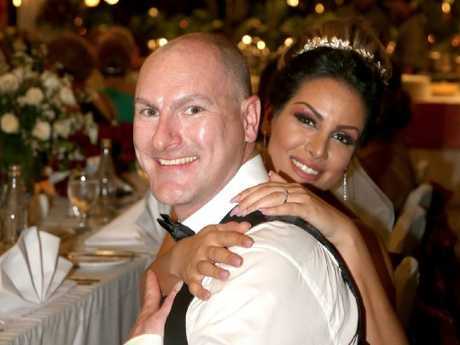 Matt Goland and Bita Zaeim at their wedding. Mr Goland's brother Chris said his family was struggling to recover. "We're scarred by the memory of our loved ones wrecked and dead on the side of the road ... we can only hope that the system can change, so no one else has to go through what we've gone through," Chris Goland said. His parents Michael and Helen Goland called for harsher penalties for drivers who kill people, especially if they are unlicensed or disqualified. "He could be out in eight years. He'll be able to have Christmas with his family," Mrs Goland said of the man who killed her son. "The judges try to do the most they can, but the system just doesn't help us. "It's just not fair." No one in the family believes Victorsen feels remorse. Victorsen is at least the fourth person sentenced in Victoria this week over a fatal crash.